Far-right nationalist Marine Le Pen and independent centrist Emmanuel Macron came out swinging from the start of Wednesday’s only televised head-to-head debate of the presidential election. For more than two hours they sparred in the last chance to convince voters ahead of Sunday’s election that they are qualified to lead a nation, which has become increasingly fractured over the current government’s inability to cope with concerns around immigration, integration and an ailing economy. In the end, 63% of those who participated in survey after the debate found Macron more convincing than Le Pen, according to pollster Elabe, which provided results for CNN affiliate BFMTV. The candidates sat across from each other at the Paris event — often speaking over each other as moderators tried unsuccessfully to interrupt them. All night, Le Pen portrayed her opponent as out of touch and elitist. Macron dismissed his rival as a divisive figure with no political platform beyond her extremist views. At one point, Le Pen chastised her younger opponent. Macron, she said, was the candidate of corporate interests. “You defend private interests,” she said. Macron accused Le Pen of lacking a strategy to turn the economy around. “We must give our small and medium-sized enterprises the opportunity to create more jobs,” Macron said. The candidates traded barbs on the highly charged issue of terrorism. Le Pen accused Macron of lacking firmness and of being “indulgent against Islamic terrorism.” She vowed to immediately expel all foreigners identified on a terror watch list and to strip people suspected of Islamic extremism of their French nationality. “Putting everyone in prison or sending them abroad does not make any sense to me,” he said. An anti-European Union, anti-NATO candidate, Le Pen has previously pushed for closer ties with Russia and has said she would drop the sanctions imposed on Moscow by the EU. Macron, a pro-EU, pro-integration politician, favors closer ties with Europe and has said France should do more to solve the migrant crisis. On Wednesday night, they voiced divergent views on diplomatic relations with Russia and the United States. Le Pen called Russia a “great nation” and said there is “no reason to wage Cold War” again. “I think we need to keep our distance from both Russia and US,” she said. Macron expressed his willingness to work with both on issues such as the Syria conflict. He called the United States a working partner on a number of regional issues. Polls suggest Macron will triumph in the election, but the specter of a mass voting boycott remains. The debate marked the first time a French presidential runoff candidate has accepted an invitation to debate a far-right opponent. In 2002, Le Pen’s father and founder of the National Front, was denied the opportunity to debate Jacques Chirac after the eventual president refused to appear on stage with him, citing his opponent’s extremist views. If successful, Macron would become the youngest ever president of France. How in touch are they with voters? 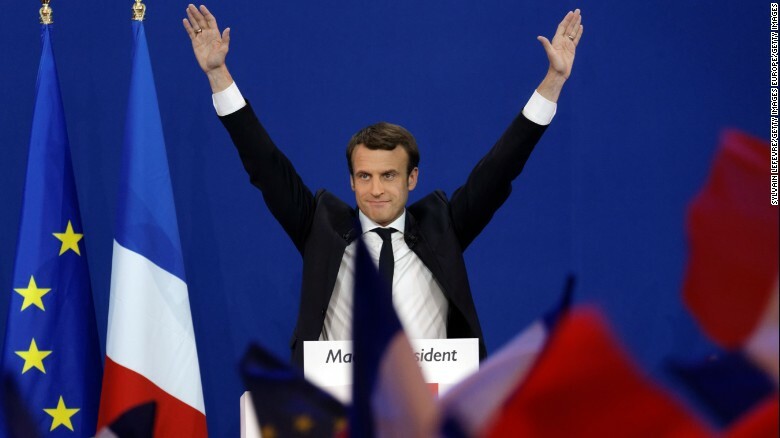 Most had expected that Le Pen, a former lawyer, would shine in the debates, yet, it has been Macron, the lesser experienced of the two, who has outshone his opponent in larger format events to date. French election: Is it Emmanuel Macron’s to lose? Macron, at 39, if successful would become the youngest president in the history of France and the nation’s youngest leader since Napoleon. 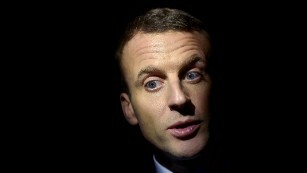 Many see him as a millionaire, former investment banker and economy minister, who remains very much part of the “elite.” They are unsure as to how Macron will actually govern given he is not backed by a political party. He has struggled to connect with those living in rural France and the former industrialized areas which are now suffering with high unemployment. Both Macron and Le Pen will be attempting to persuade the seven million or so voters who backed Jean-Luc Mélenchon in the first round. The far-left firebrand has so far refused to endorse either candidate. However there are plenty of people who say they could never vote for Le Pen and since the conclusion of the first round of voting, she has been attempting to widen her appeal. 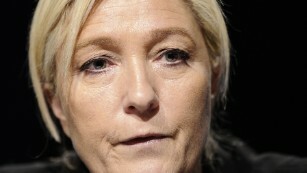 Last month, she announced that she had temporarily stepped down as leader of the National Front, painting herself as an independent candidate. Related: Macron, Le Pen, or neither? What the first round results showed is that she needs to reach out and perhaps play down more extreme parts of her campaign. She has toned down the prospect of “Frexit” — France’s departure from the European Union — and has also courted the voters of failed Republican candidate Francois Fillon. 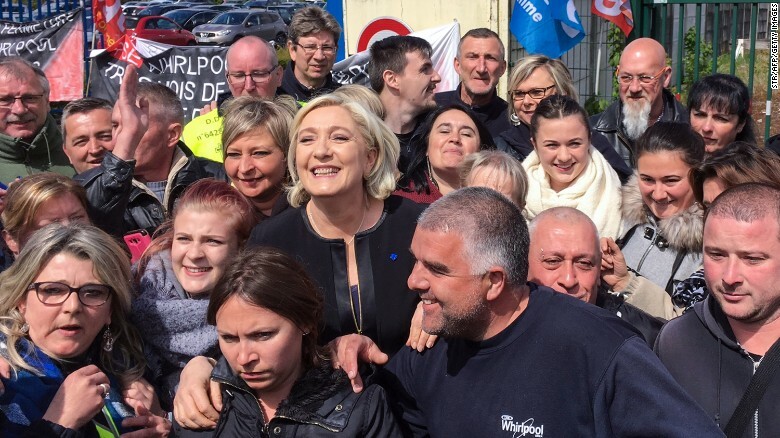 Le Pen smiles with people in front of the Whirlpool factory in Amiens, northern France. On Tuesday, she gave a speech, which drew accusations of plagiarism. Her camp defended it saying it was “a nod to Fillon” rather than Le Pen ripping him off, but she can ill afford any further slip-ups. She has also been outspoken on immigration, insisting she would curb migration to a net 10,000 people a year. Her stance contrasts markedly with Macron, a pro-EU, pro-integration politician, who wants closer ties with Europe and has said France should do more to solve the migrant crisis. The debate will take in 10 different areas of policy including the economy, security and Europe.